There is a lot to be said about these two simple words, and a lot for us to consider. Jesus suffered from a real, deep physical thirst. One that was brought about through the suffering of the punishment that we deserved. Jesus also suffered in that moment from a true, deep spiritual thirst. One He had never experienced before. He suffered this on our behalf as well, so that we would never have to. 1. John writes, “I thirst.” Why do you think he included these two short words in his description of the crucifixion? 2. (Matthew 27: 33-34) Jesus had been offered wine previously that day, though He refuses it. However, he accepted a drink of wine this time as recorded in John 18. What is the significance of these two instances? 3. What else is significant about Christ thirsting? Ex: What else did Christ experience besides physical dehydration? 4. How is the image or analogy of spiritual thirst used throughout scripture? 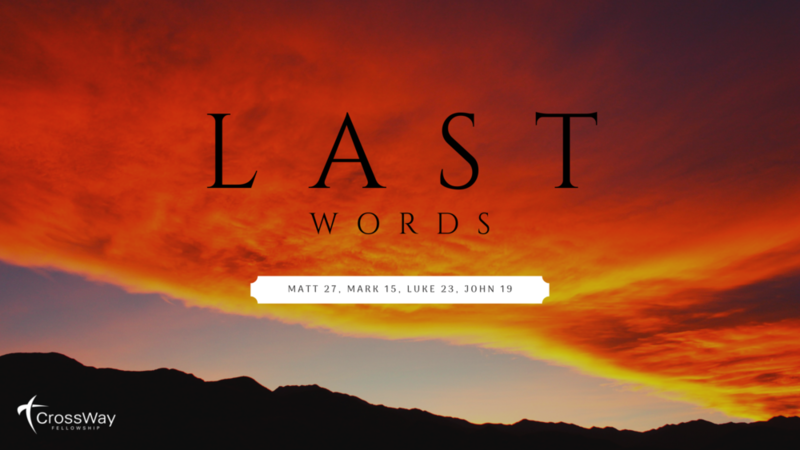 Newer PostLast Words: "Wk 6"
Older PostLast Words: "My God, my God, why have you forsaken me?"